Fear, hate, rage, unworthiness, jealousy, depression, anger, pain, resentment, guilt and shame, at times, seem to have so much power over us! The very mention of the words can send shivers down our spine. They can cause us to feel paralyzed; to want to hide in a cave somewhere and never come out. We can experience moments without them, but no matter how much we try to ignore their existence, they inevitably return and leave what seems to be a wake of destruction in their path. Even though we don’t want to admit it, these negative emotions are here for the long haul and are here for a very noble purpose. They’re intertwined with this experience of life and although we work hard to get rid of them, they persist. 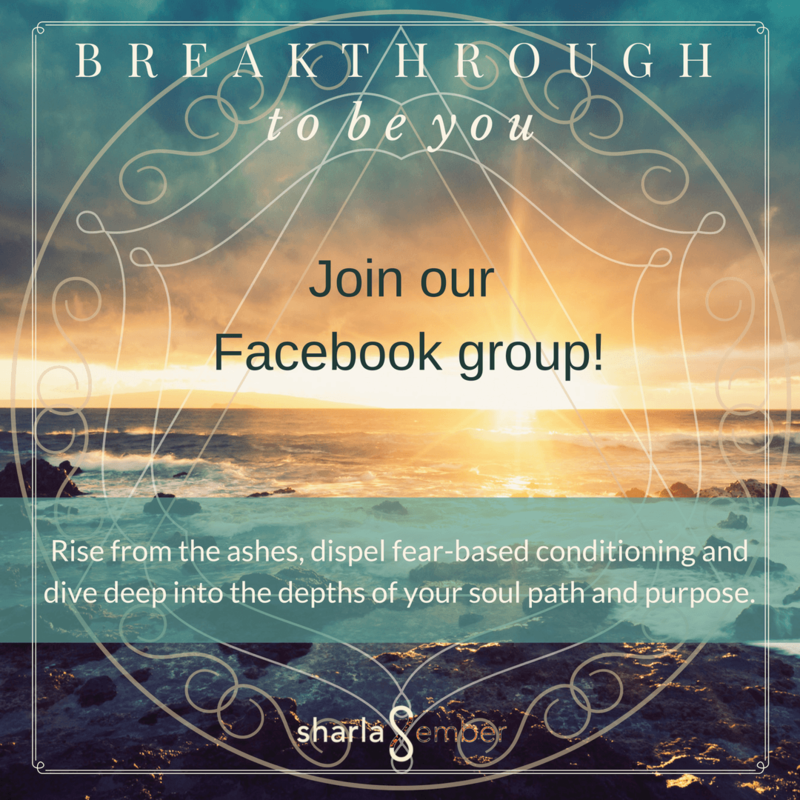 We want to run, we want to fight, we want to hide, we want to perform an exorcism or find the perfect healing practice that’s going to solve all our problems, but the truth is… our problems ARE the tools of healing. God is not perplexed by the darkness within us. God/Spirit has allowed it to be, so that we can see through our self-created personality to know our True Self as not separate from God, as well as know that God is all we are longing for. Sure, we’re meant to have a perfect, pure, blissful Love expressed through us, but we first need to move through the parts of us that don’t yet realize where we come from and what this journey is all about. Heaven and hell live within each and every one of us. We experience both. Just like the wilting flower returning to the soil and then breathing life again, all is being resurrected through the dying. Furthermore, nothing completely ends. Endings, in fact, are an illusion. If we can look upon the experiences of this life through the lens of the natural flow of nature, we can see that all is being worked together for a much bigger plan and perspective. 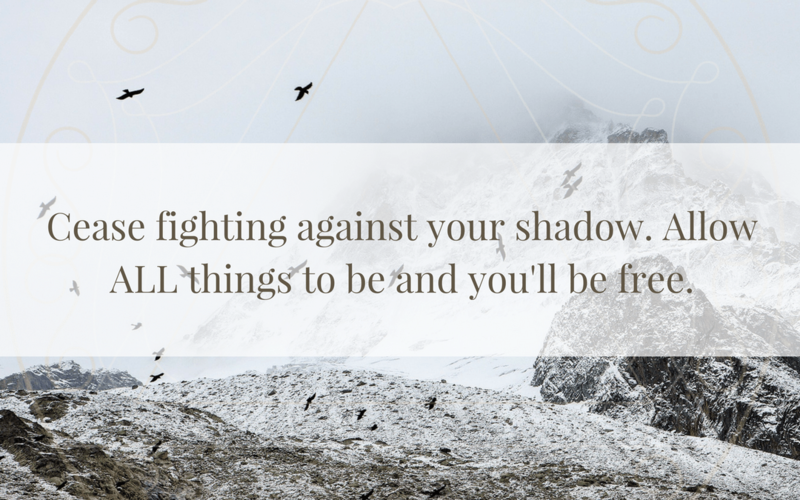 So, allow your shadow to dwell with your light. Allow the fear you feel to abide with moments of courage. See that in the midst of turmoil and pain there is also an opportunity for peace, contentment and healing. When rage is rising up notice the quiet space of calm that lives even further down within your soul. And as you sense jealousy peering out from within become aware that the deeper part of you truly longs for Unity. We don’t have to run away from one to get to the other. As we embrace ALL, our true nature arises, moves and has its being. You are Perfect NOW, mistakes, blemishes and all! There is no other way than what is right now at this very moment. You will find as you practice accepting all, that your problems begin to loosen their grip, it becomes easier to love yourself and accept others in their shortcomings and your scope of life will look lighter and brighter. Allowance opens the doorway into your meadow of peace. Be easy on yourself. All your problems are healing you.